Opening Day Countdown Down Under has emerged as the must-follow blog between now and Major League Baseball’s Opening Series on March 22-23 in Sydney, Australia — sure to take you back down memory lane while celebrating today’s stars as well. Welcome the brand-new Twins Pics blogs for some great shots by their official photog. The Blue Jays Dugout‘s has a crowdfunding campaign underway for his book. Congrats to The Dugout Perspective, Our National(s) Pastime, 9 Innings of Passion and springtrainingwithsydney on their debuts here. 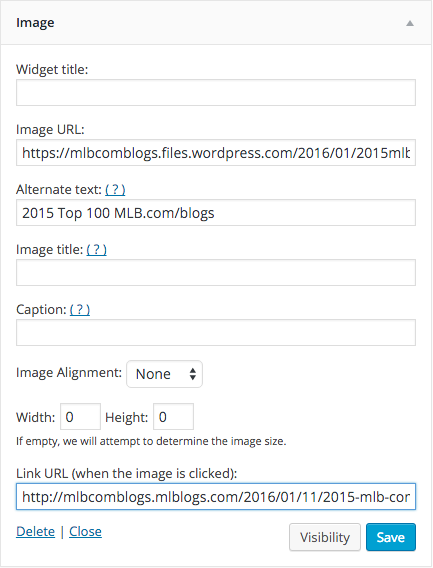 Take the first step to joining the ranks of the Latest Leaders by starting your MLB.com Blog, powered by WordPress.com today! 47. Step up to B.A.T. 38. You’re Killin’ Me, Smalls! 40. It’s Always A Good Dre in L.A.